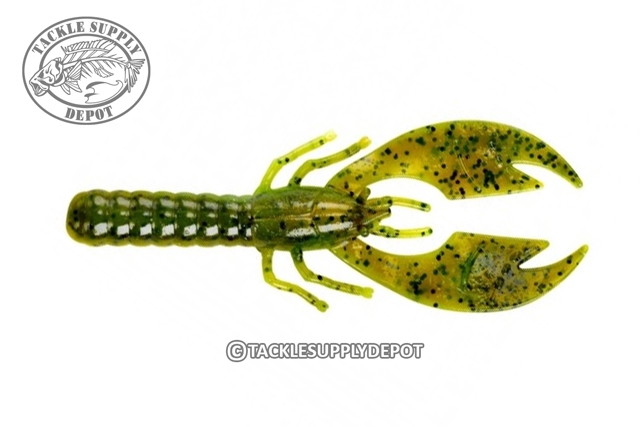 The Craw Papi is durable, yet velvety soft to the touch. It has one of the most realistic shapes of any slim profile crawfish imitation. The natural, oversized pinchers, are filled with action. Because the Craw Papi features a solid tail, it makes a great jig trailer and can be equally effective on a Carolina or Texas rig. This petite craw packs a powerful punch. Largemouth, smallmouth and spotted bass can't resist its perfect size and the flippy-flappy motion of the big, thin claws.